DOUAY, ANASTASE, priest, Recollet, naval chaplain; b. at La Quesnoy, in Hainaut, Belgium (now department of Nord, France); d. in Mexico. We are familiar with only a part of the life of Anastase Douay, a Recollet of the ecclesiastical province of Saint-Antoine in Artois. His name is attached almost exclusively to the two expeditions which he made in Louisiana in search of the mouth of the Mississippi, the first with Cavelier* de La Salle (1684–1687), the second with Pierre Le Moyne d’Iberville (1698–99). Despite reservations that have been expressed as to the plausibility of Le Clercq’s account, we have no reason to maintain, as the envious Joutel has suggested, that he falsified Douay’s narration. As Douay was the sole eye-witness of the drama, his account remains more acceptable than those of Joutel, Gravier, or Hennepin, who copied it at the same time as they made bold to challenge it. 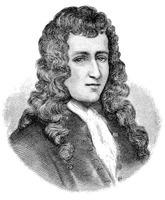 After La Salle’s death, Douay returned to Quebec on 27 July 1688, and on 20 August sailed for France to give an account of the facts to the Marquis de Seignelay [Colbert]. He remained in France, and Hennepin reports that he was vicar of the Recollet convent at Cambrai in 1698. Far from casting any light on the Mississippi question, La Salle’s last expedition had given rise to new riddles. On 16 July 1698 Pontchartrain, minister of Marine, wrote to Bégon, the intendant at La Rochelle, that he was sending Father Anastase to him from Paris, to be chaplain of the Badine, a frigate which was accompanying the Marin: his previous experience might be of some help to Le Moyne d’Iberville, the leader of the new expedition which set out from La Rochelle on 5 September in search of the mouth of the Mississippi. Three months later, on 3 March 1699 to be exact, Douay “ [had] the joy” of saying mass and singing the Te Deum on sighting the river. On 4 May 1699, in a petition addressed to the Sacred Congregation of the Propaganda, it was requested that Father Anastase Douay be given the powers of prefect apostolic for Louisiana. 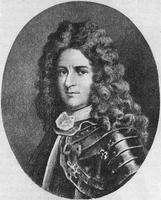 However, in April of the same year, Douay had refused Le Moyne d’Iberville’s invitation to remain at the new mission. Iberville wrote in the log-book of the Badine that Douay preferred to return to France and live for the rest of his life in his convent. Did Douay modify his decision after the official petition, and assume the high office of prefect apostolic? We have no document which can throw light on this question. Furthermore, we know nothing about the end of Father Anastase’s life. The necrology of the Recollets mentions only the place of his death: Mexico. Découvertes et établissements des Français (Margry) IV, 70, 124, 125, 157, 169, 190, 235, 237f., 247, 273. Le Clercq, Premier établissement de la foy, II. J. G. Shea, Discovery and exploration of the Mississippi Valley . . . (New York, 1852), 197–229. Delanglez, French Jesuits in Louisiana. Frégault. Iberville, 264ff. Henry Harrisse, Notes pour servir à l’histoire, à la bibliographie et à la cartographie de la Nouvelle-France et des pays adjacents, 1545–1700 (Paris, 1872), 159, 163–65. O’Neill, Church and state in Louisiana. J. G. Shea, History of the Catholic Church in the United States (4v., New York, 1886–92), I, 340-51. “L’assassinat de Cavelier de La Salle,” BRH, XLIII (1937), 146-48. Viator, “La mort de Cavelier de La Salle,” BRH, III (1897), 175. Jacques Valois, “DOUAY, ANASTASE,” in Dictionary of Canadian Biography, vol. 2, University of Toronto/Université Laval, 2003–, accessed April 20, 2019, http://www.biographi.ca/en/bio/douay_anastase_2E.html.